Persian kitten and cat information is very plentiful on the internet and through other forms of social media. Persian cats are one of the most popular and easily recognizable breeds in the world. Information about the Persian is everywhere on the internet, many books have been devoted to the Persian cat, and many of today's Persian breeders and cat lovers have web sites about their favorite feline. Below is a very short overview of the Persian. Links to more comprehensive sources are shown at the bottom of this section, including some of our favorite books about Persians. Persian cats have beautiful, long flowing coats, with a short compact, well-balanced, heavily boned body and short, thick legs. They have large, round, expressive eyes set wide apart, and a broad round head with small ears. Persians are known for their gentle, sweet and laid back personalities. They are generally quiet and calm, which isn't to suggest that they do not like to play. In my opinion, Persian cats should never be allowed outdoors. Persian cats do require regular grooming and bathing to keep their coats clean and unmatted. A daily combing is recommended making sure to check for mats behind the ears, under the chin, and under the arms. Persian cats also may require that you wipe their eyes on a daily basis with a warm wash cloth, or other product to prevent staining. Over the past 20 years, I have found Persians to be very affectionate and loving, and they get along well with other cats and our dogs. Persian cats like nothing better than to cuddle up and sleep next to you if you happen to sit down, and they make excellent bed buddies! 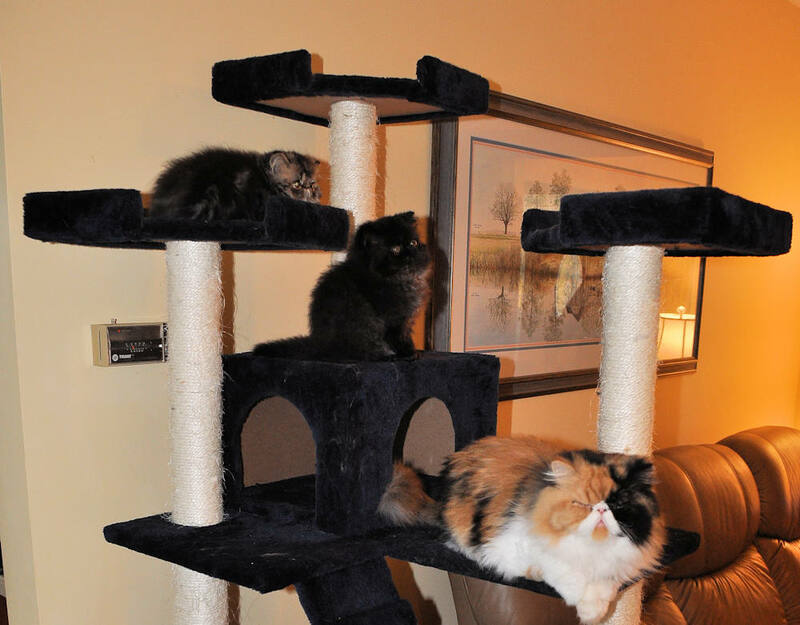 Anna Sadler was a long-time successful show enthusiast and breeder of Persian cats. This book represents her many years of experience with the Persian cat breed. The Longhaired Cat: An Owner's Guide to a Happy Healthy Pet includes a description and beautiful color photo of each long-haired breed, information on how and where to choose your cat, sound advice on how to keep your cat healthy, insight into your cat's behavior, and much more. "Why Declaw a Cat?" was written over a period of 10 months and it includes research information in the area of veterinary medicine conducted by veterinary schools, veterinarians treating declawed cats, organizations such as The Paw Project, articles by animal behaviorists, and more. I believe this book will give the reader a more thorough understanding on the subject of declawing - from the anatomy of the cat paw to post-operative outcomes - so that someone that is thinking about subjecting their pet to this procedure may fully understand what this surgery entails and how it can impact the life of the pet and of the owner. Check out our Supply List for recommendations on toys, grooming supplies, litter, etc.